Here at Applegarth we are experts in the design, supply and installation of solar panels in Manchester. 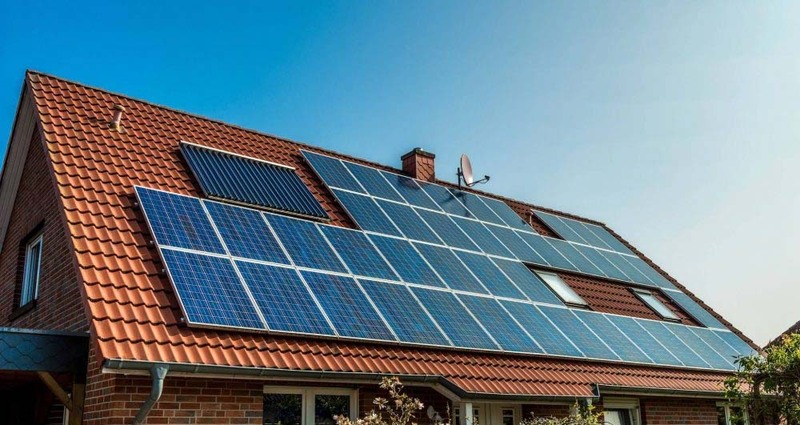 We have been involved in the solar panel industry for over 15 years, helping homeowners and businesses reduce their carbon footprint whilst saving them money. We are also proud to be an accredited solar panel installer under the MCS (Microgeneration Certification Scheme). Solar panels, also known as solar pv, capture energy from the sun using photovoltaic cells. The cells do not need direct sunlight to generate electricity – they still work on cloudy days. The solar cells convert sunlight into green energy, which can be used to power things such as household appliances and lighting. Reduce your carbon footprint – Solar energy is green renewable energy that doesn’t give off any carbon dioxide. Get paid – The governments feed-in-tariff scheme pays you for the electricity your solar panels generate, even if you use it. Sell excess electricity – You can also earn more money by selling the surplus electricity your solar panels generate back to the grid. Reduced bills – Solar panels help to reduce your energy bills as you require less electricity from the national grid. The feed-in-tariff scheme was introduced by the government in 2010 to help increase the take-up of renewable energy technologies. The scheme is open to homeowners and community groups in England, Wales & Scotland. The feed-in-tariff pays you a set rate per unit of electricity that is generated by your solar panels. The scheme then pays you an additional rate for any surplus electricity your solar panels generate and send back to the grid. If you are interested in our solar panel installation service, or have any questions, call us on 0151 649 8350. You can also email us at info@applegarth.co.uk. We install solar panels in Manchester for homeowners and businesses. If you have any questions about any of our services then please don’t hesitate to get in touch. We provide our services across Wirral, Liverpool, Manchester, Cheshire & the North West. Applegarth provide electrical engineering and mechanical installations for both the commercial and house hold areas, with a recent focus on renewable sources. Hi Guys. I just want to say a big thank you to Lee, who installed my EV Charger yesterday. Lee arrived on time and was very polite and professional. Once he had finished the installation he made sure I knew how to operate the charge point correctly. He is a credit to your company. Thank you for making the process of applying for the OLEV Grant so easy. I am made up with my EV Charger and the service I received. I will be recommending you to friends. © Applegarth 2019. All rights reserved.